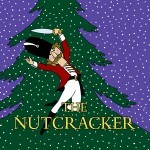 December 11th marked the World Premiere of a completely re-imagined version of the beloved holiday classic, The Nutcracker, performed by the Grand Rapids Ballet. Grand Rapids native, Chris Van Allsburg, working with acclaimed set designer Eugene Lee, choreographer Val Caniparoli and the Grand Rapids Ballet Artistic Director Patricia Barker brought this new interpretation to life. The World Premiere performance was marked by a special Gala, benefitting the Hospice of Michigan Pediatric Programs and the Grand Rapids Ballet. Photos and event wrap-up. 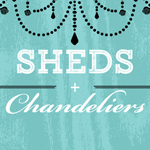 Hospice of Michigan’s 29th Annual Crystal Rose Celebration, Sheds and Chandeliers, was a huge success! 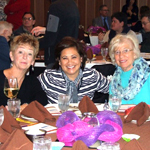 With more than 400 in attendance, Hospice of Michigan raised over $100,000! These funds will provide an additional 740 days of compassionate end-of-life care for uninsured or underinsured patients. Your support helps us continue to ensure that quality hospice care will always be available in Southeast Michigan. Photos and event wrap-up. With 100 in attendance, Hospice of Michigan’s 24th Annual Puttin’ On The Ritz was a great success. More than $7,000 was raised for patients in Northern Michigan. Because of this generosity, these funds will provide an additional 51 days of compassionate end-of-life care for uninsured or underinsured patients. Your support helps us continue to ensure that quality hospice care will always be available in the Alpena area. Photos and event wrap-up.